Happy Thursday everyone!! 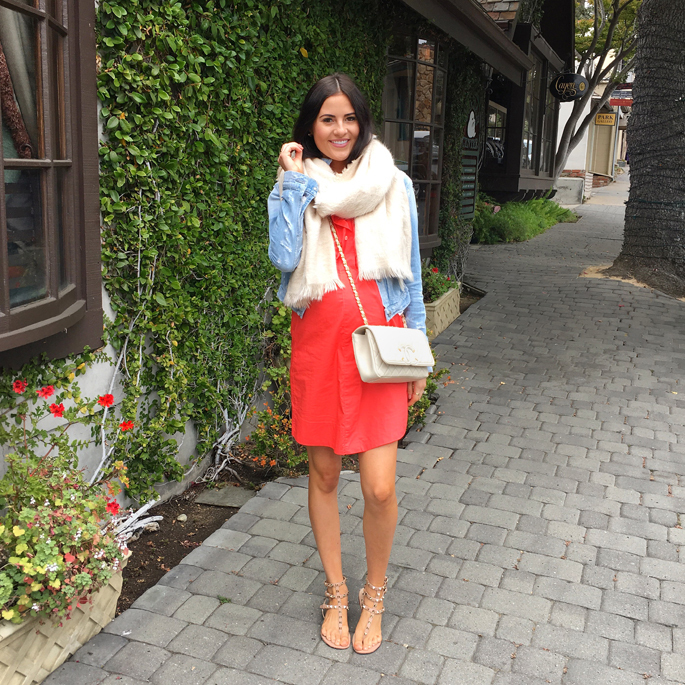 I had tons of questions about my latest outfits I posted on IG (mainly from my girls weekend in Carmel). Above I’ve linked up where you can find everything!! Happy shopping! Love all these pieces. Great casual vibes going on. You look adorable in all of these easy breezy-dresses! I love your baby bump style. Love your Insta outfits! They’re the perfect combination of casual, chic, and feminine! 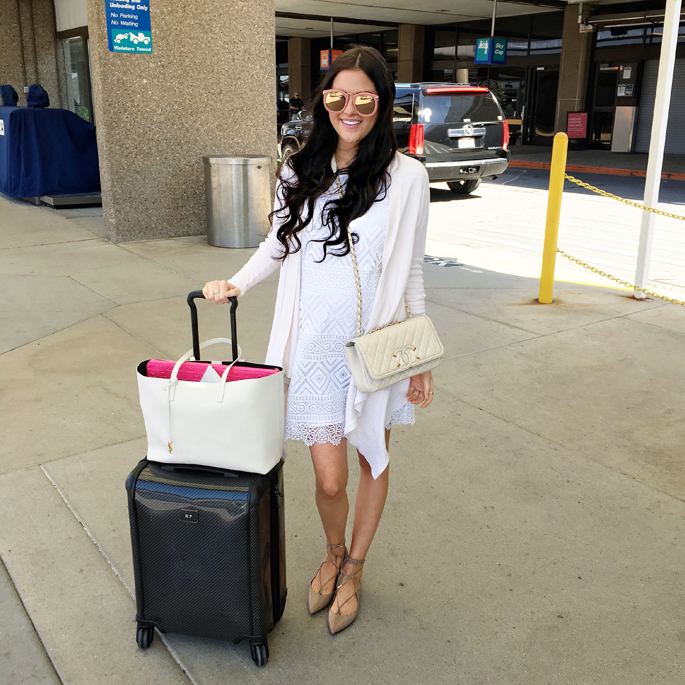 You have the cutest travel style! love that joie dress! so cute! LOVE that Madewell dress!!! May be adding a new item to my closet :). Thanks!! That J.Crew white shirtdress is amazing. I tried on the petite one and it was perfect. That first look is SO cute! Love it! Cute roundup!! You’ve got great style, of course! All of your outfits are gorgeous!! These are all such pretty looks. Love that last one! Really love both of the white dresses! All of them are great maternity outfits! You have such an amazing style! Love all of these looks – so simple and stylish! You’ve been killing it on instagram lately! You make casual look so good!! Have a great day babe!! I love your travel outfits! Looks like you all had a great getaway :) Carmel is beautiful! Love the insta roundup thanks for sharing! Since you are a bit of high maintance girl like myself. Would you do a post on packing. It looks like you just used a carryon. Loved to see what beauty and hair items you packed. Thanks. Hi Debbie!! I basically just shove it all in there haha! But thats a good post idea!! Thank you so much for commenting!! Love this roundup, you always look great! I love these outfits! The camel lace-up shoes are so cute! Girl you’re absolutely stunning! I love all of these outfits, the dresses are so perfect for summertime pregnancy! Definitely need to get my hands on some of those, these twinnies inside my belly don’t fit in anything anymore! :) Love this post! Every. Look. Is. Flawless! I love your style! I’m especially a fan of the white dress + floppy hat combo! I LOVE YOUR BLOG!!! I strongly dislike shopping and following fashion, but you make it easy and enjoyable! Your style rocks, and I love how you directly link where you can purchase the great pieces you wear (and the less expensive alternatives). You’re a great style inspiration!! i’m absolutely in love with that first white dress with the tassels on the bottom!! so cute! In love with that denim dress! Very nice outfits, I adore your looks!